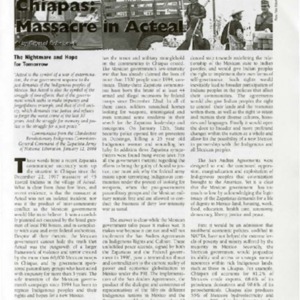 The massacre of the Tzotzil Indians in Acteal was not an isolated incident. There have been multiple violent incursions since. The passage of the San Andres Agreements would give autonomy to more than 12 million Indiginas.